MUST SEE ranch in desirable Windborne Subdivision! Move in Ready! Great Mooresville location! Open floorplan with split bedroom layout. Open entryway with tons of natural light leads to spacious great room with vaulted ceiling. Kitchen with ample cabinet space, upgraded stainless steel appliances & pantry. Breakfast area overlooks the backyard. Elegant owner's retreat with walk in closet, ceiling fan and en-suite bath with soaking tub. Large secondary bedrooms with updated guest bath. Backyard with patio that is perfect for grilling and entertaining! Fresh paint and updated light fixtures. 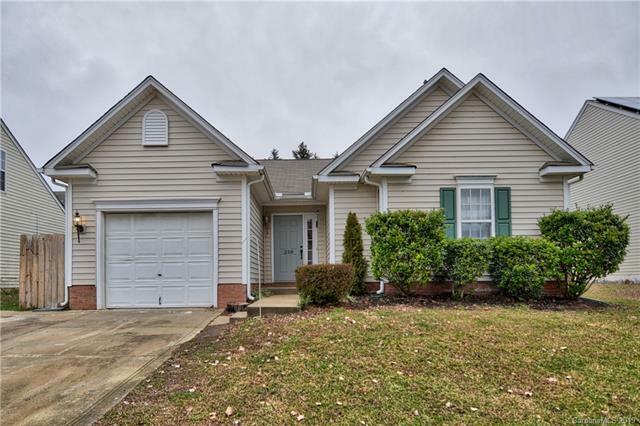 Great location convenient to downtown Mooresville, close to schools, restaurants and shopping! Easy access to I-77. Sold by Allen Tate Lake Norman.